I made these recently and forgot to post them! 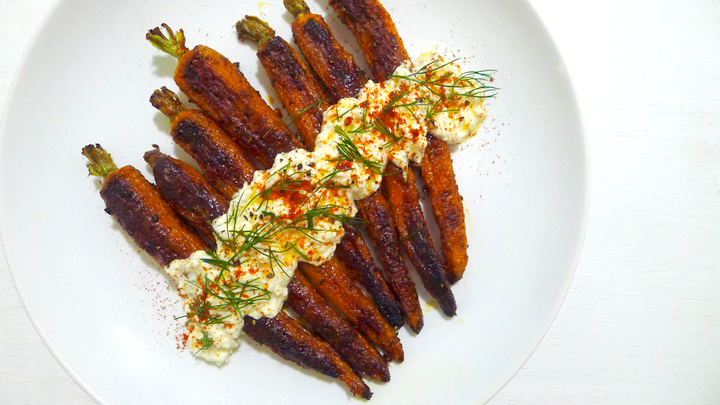 Such an easy recipe, and a great side dish. 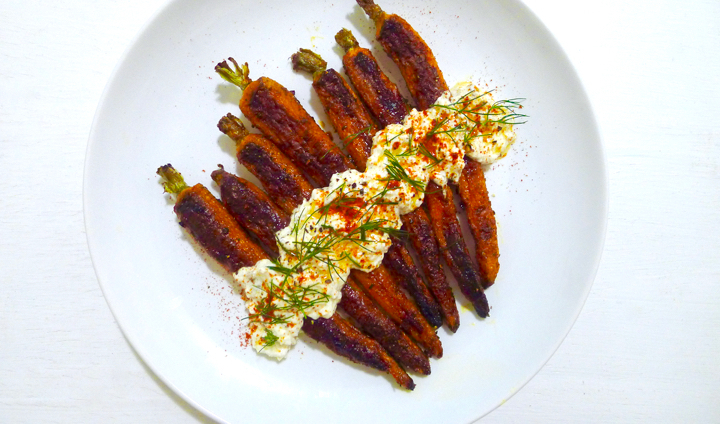 I like to buy the thin whole carrots because I think they’re so pretty, but you can also slice large carrots into 2-4 pieces instead. Once roasted they’re soft and sweet with a slight char to them, and the spices pack a flavorful punch! Preheat oven to 375 degrees. 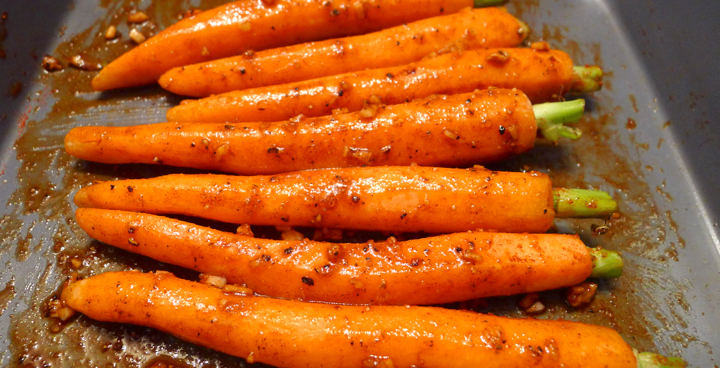 Place the carrots on a baking sheet and drizzle them with olive oil, followed by the garlic and all the herbs. 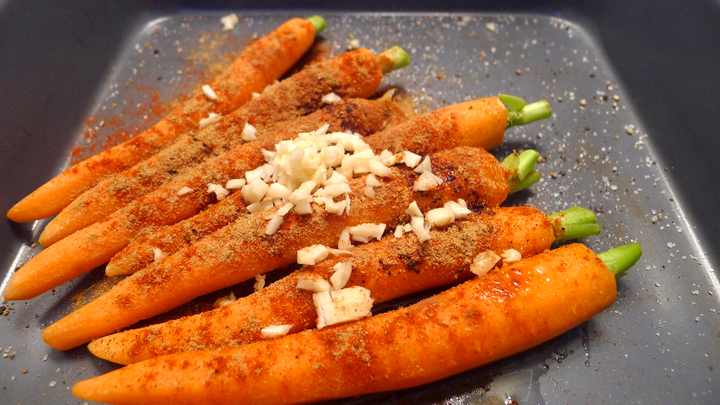 Toss well to coat the carrots. Bake in oven for 40 mins, turning them halfway through. In the meantime, make the yogurt sauce by simply mixing together the Greek yogurt, herbs, pepper, and lemon juice. 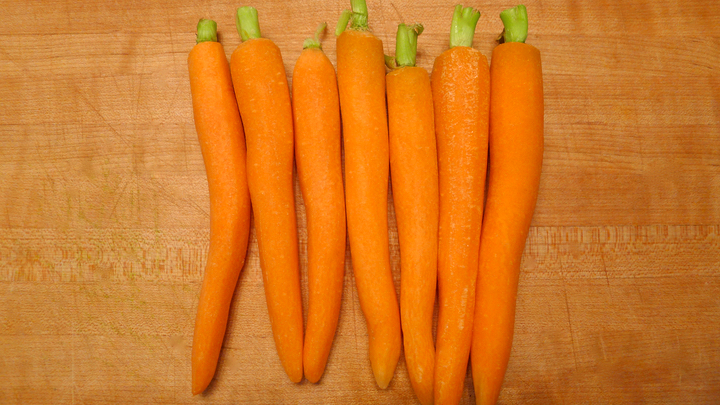 Carrots should be fork tender once cooked. Remove from oven and let cool for 5 minutes before serving with the yogurt.